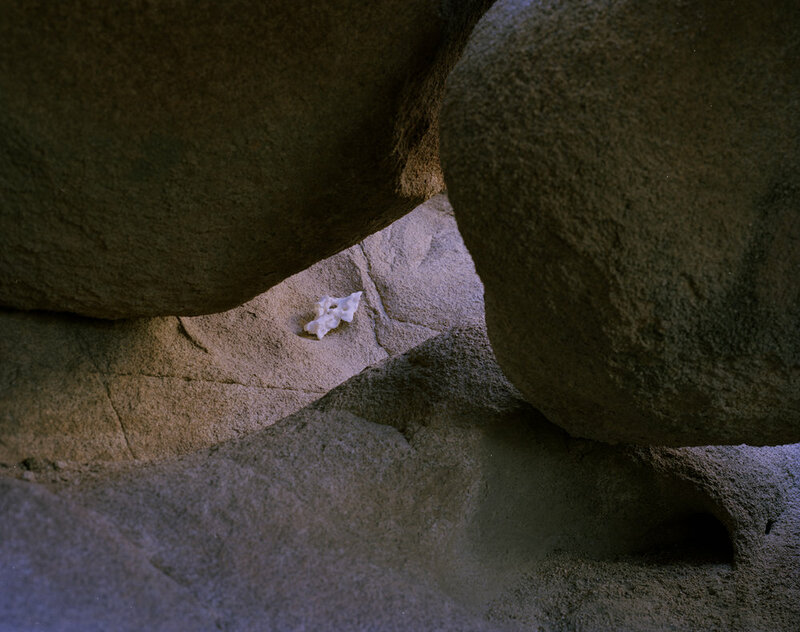 "Desert Gestures for No Audience" is a series of solo performances in the Mojave Desert and Joshua Tree National Park, photographed with a large format camera. I perform gestures of refuge, frustration, contraction, and surrender as personal and cultural healing practices. 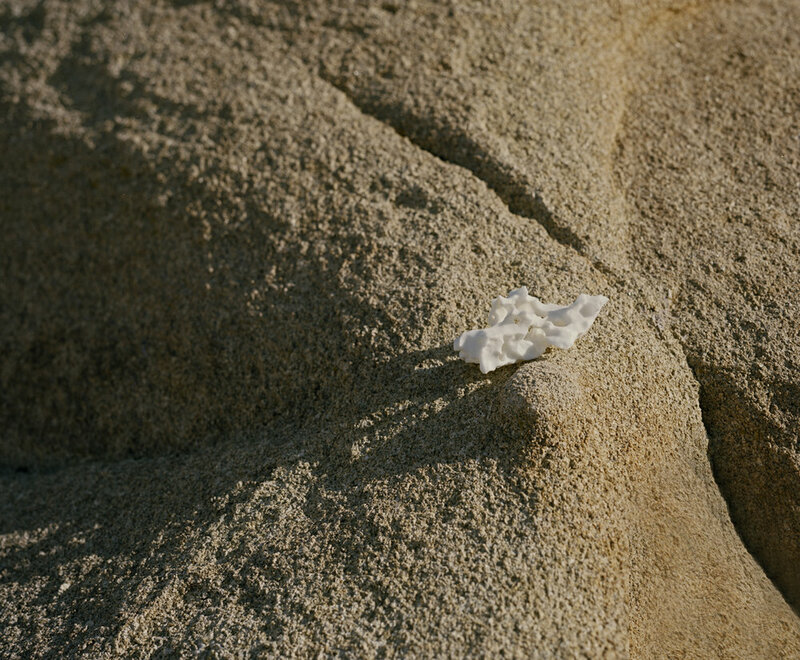 For part of this practice, I carried one of my salt sculptures to different sites of the Mojave Desert and photographed it amongst the eroded rock landscapes which inspires that work.